The European Union (EU) on Monday welcomed the new mechanism to trade with Iran while bypassing US sanctions, but also warned the Islamic Republic over its ballistic missile program, AFP reports. In a statement on Iran that has been the subject of more than a week of wrangling in Brussels, the EU restated its commitment to saving the 2015 nuclear deal with Iran and took aim at Washington for abandoning the pact and reimposing sanctions. The bloc hailed the creation last week by France, Britain and Germany of a system to allow firms to trade with Iran without falling foul of US sanctions as vital to supporting legitimate business and said the “resolve to complete this work is unwavering”. At the same time, with numerous European powers growing increasingly concerned about Tehran’s missile program, meddling in several Middle East conflicts and recent attempted attacks on opposition figures living in the EU, the bloc urged Iran to mend its ways. 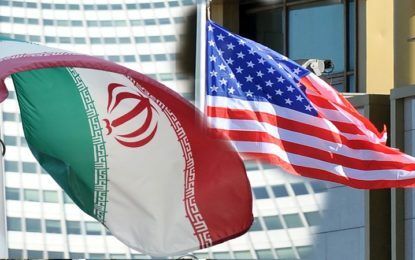 The statement criticized Iran’s “provision of military, financial and political support to non-state actors in countries such as Syria and Lebanon”, according to AFP. “The (EU) Council has serious concerns regarding Iran’s military involvement and continuous presence of Iranian forces in Syria,” it said. Iran is a key supporter of Syrian President Bashar Al-Assad and the statement urged Tehran to use its leverage to get Damascus behind UN-led efforts to end the civil war, which has claimed more than 360,000 lives since it began in 2011. The 2015 nuclear deal, from which US President Donald Trump withdrew last year, does not deal with Iran’s ballistic missiles program which remains a concern for the West. US Secretary of State Mike Pompeo recently warned Iran to cease its efforts to develop ballistic missiles and demanded that it drop its plans for a space launch, saying such actions would defy UN Security Council Resolution 2231. UN Security Council resolution 2231, which the US says Iran violates with its ballistic missile tests, enshrined Iran’s 2015 nuclear deal with Britain, China, France, Germany, Russia and the United States.